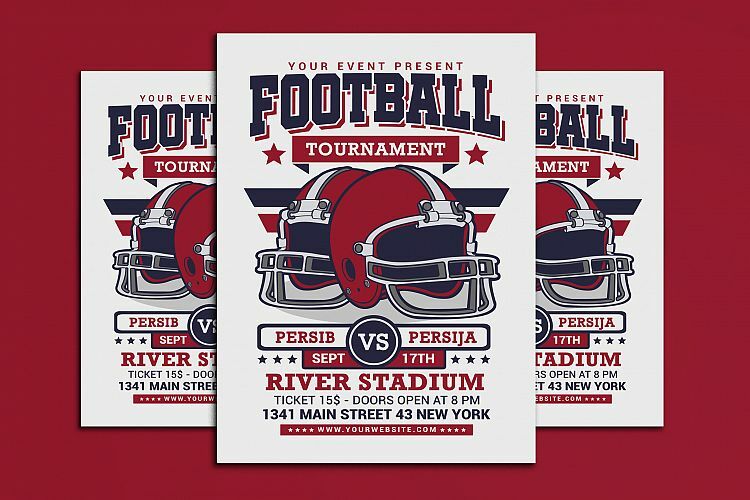 Ok, this post is geared towards the sports lovers in your life. Fall means football and football means tailgating and group parties on Sundays with friends. We used to have a group of 10 friends that would get together every game day. We rotated homes and everyone brought a dish to pass around. I personally could have cared less what was happening on the TV but what I enjoyed was the company of good friends every weekend. Here are 10 football and sports-themed designs perfect for making your weekly rituals more festive. Whether it's making fun invitations, on theme decorations, or simply just a custom t-shirt. 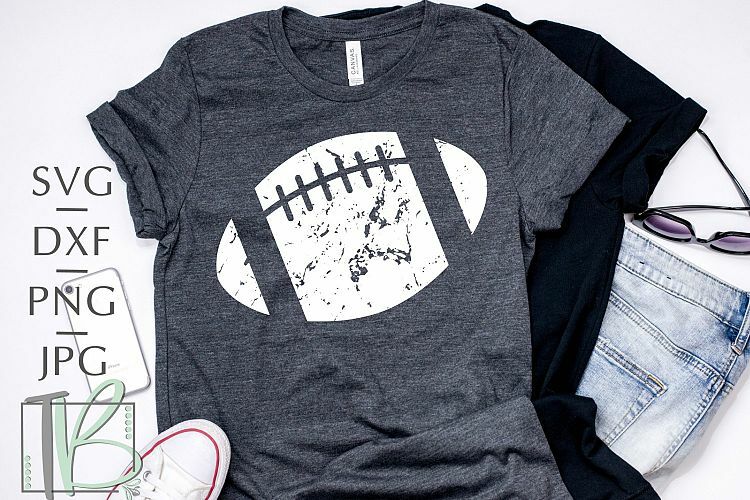 These designs are sure to make your game day on point. 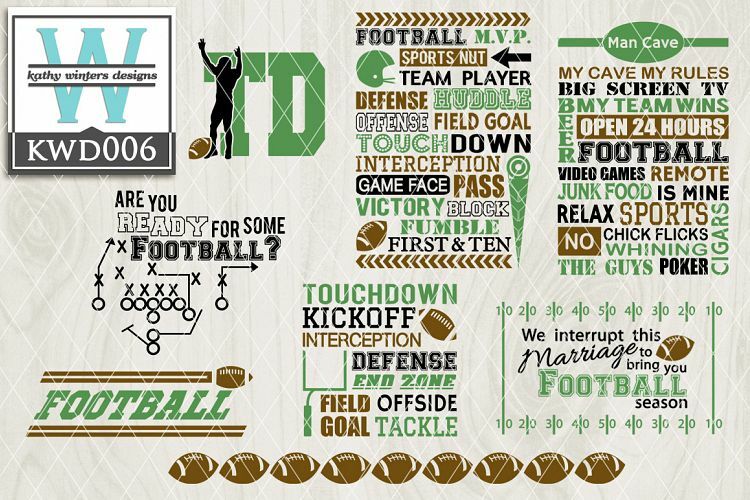 This distressed football file is perfect for making a cute shirt to wear to every game. Add your favorite team's name or players number to really customize your look. How fun are these designs? Game of Thrones lovers will appreciate the bottom right file. 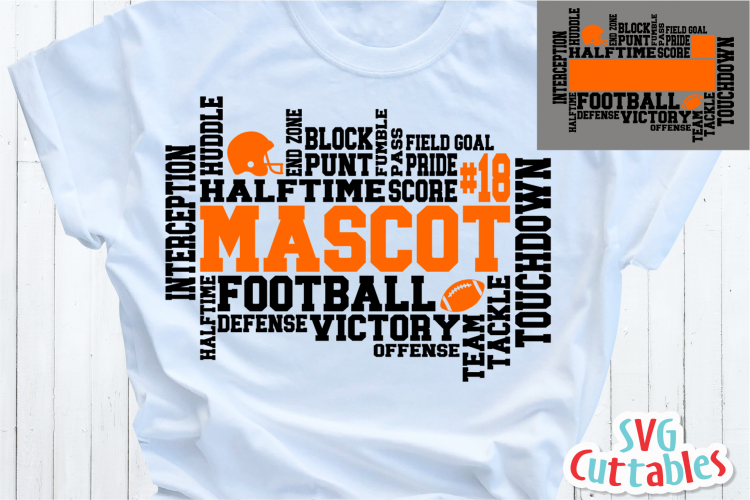 This is another great shirt design option or for making decor for your Sunday gatherings. 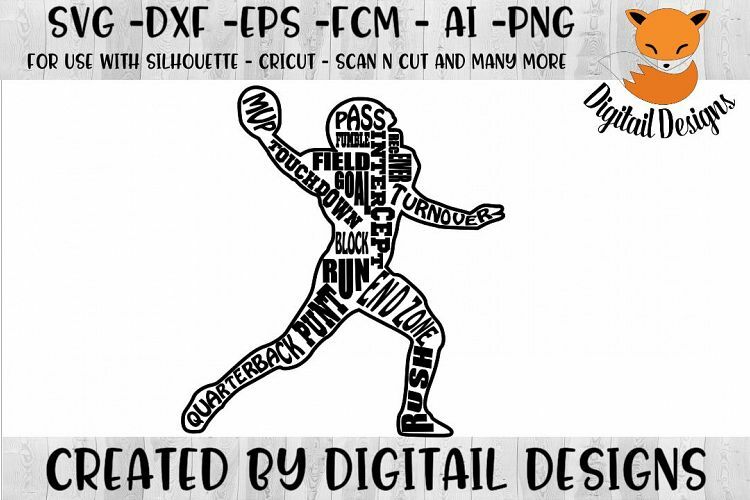 This football cut file is something that you customize with your favorite team's information. 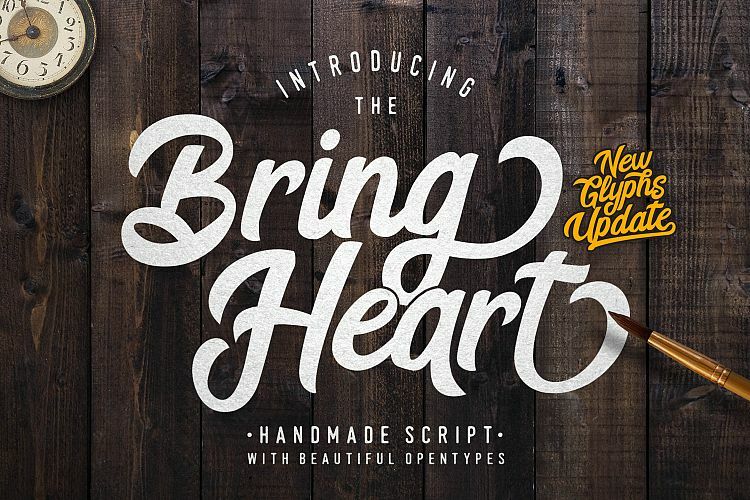 It even includes a font as part of the download. This would be cute for a children's school team shirt as well! 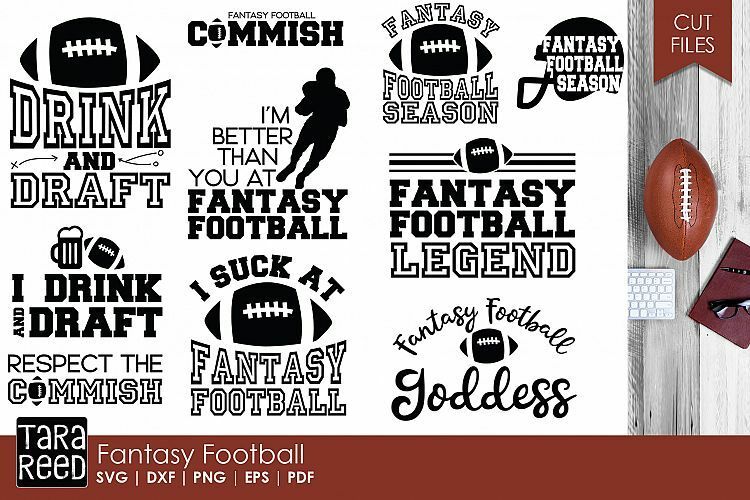 These football files can be used for any project you can dream up! Kid's poster art for their room, decor for a party, fun sign for the man cave, etc. I think this wordart file is adorable! How perfect to make a shirt for your little football lover in your life? This would also be fun to cut as a large vinyl decal for your kid's room. 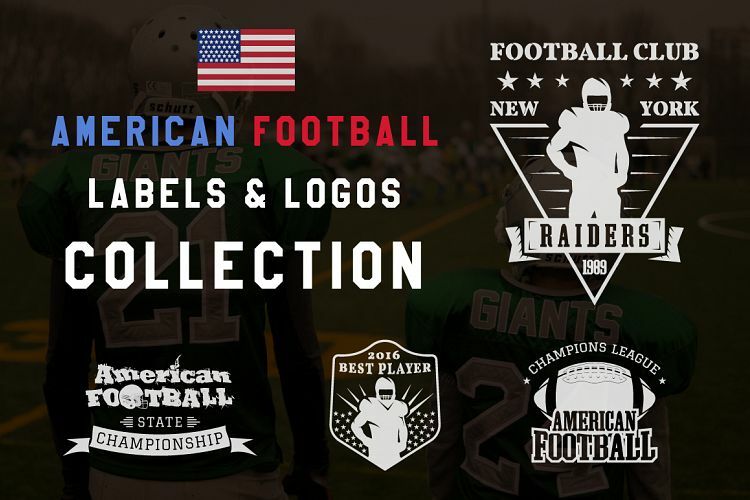 Here are 12 fully editable sports american football badges, logos, emblems, labels for teams, leagues etc. Vintage design. Monochrome and color retro style. You can easy to change color and text. Great for the high school athletes in your life. Let's no forget the ladies who love sports too! Ok, most of us are just there for the food and company but can you really blame us? 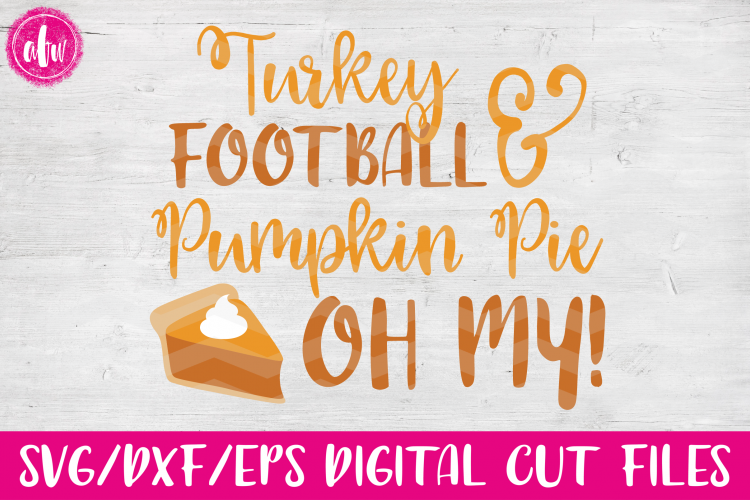 This cut file is adorable and great for a shirt or even as vinyl on a platter for said food. Fantasy football is a sport in it's own right! So many people are very passionate about their teams and competing with their friends. Dare I say that for some their fantasy teams are more important than the real teams? 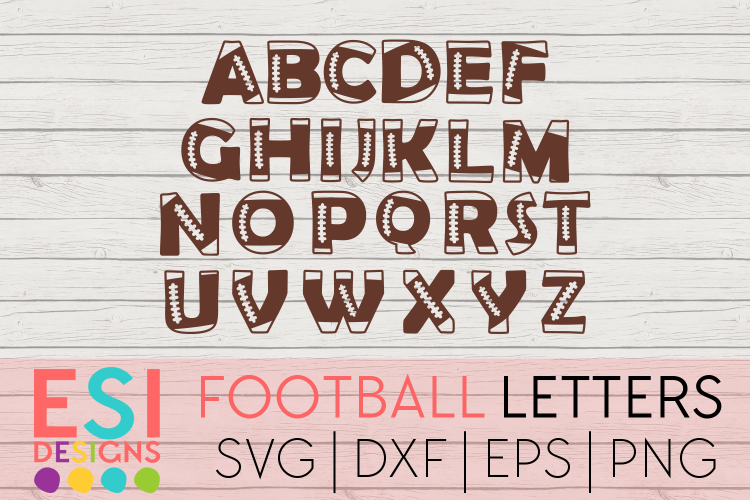 These football letters would make an amazing banner for your tailgate party! It would also be a great theme for a little kids birthday party too. Last but not least, let's not forget to make impressive invitations for your next tailgate too! Instead of the group Facebook invite letting people know your house is the next event space, do it in style with a digital image invite or even crazier, paper! That concludes my round up of MVP's in the football designbundles land. I hope this helps to inspire you to have a great football season this year cheering on your favorite teams. 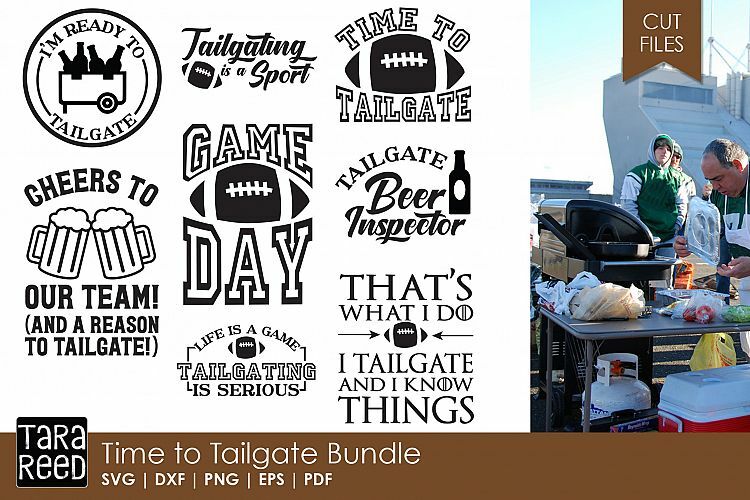 Elevate your tailgate game using these ideas to bring your party to life.